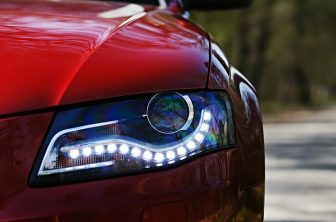 Whether you are skilled at basic car repair or have a complete working knowledge of the intricacies of automotive engines, having your own set of tools specifically for mechanics saves you time and money. A wrench is a handy tool to have in your tool inventory. The main purpose of a wrench is in loosening or tightening bolts or nuts. 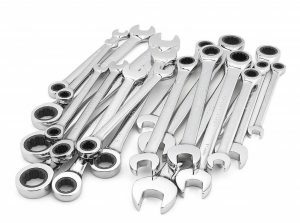 Wrenches can come in a variety of forms, as some of the wrenches use a pass-through mechanism to operate, while others use torque to help generate additional force to loosen tight nuts. Some wrenches come in a set, which are in various sizes, to loosen a size of the nut. 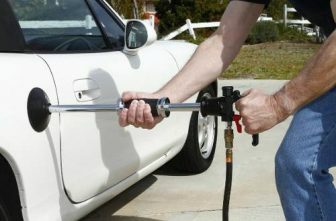 Other wrenches tend to have an adjustable knob to allow you to set the size of the wrench to the size that you need. 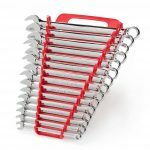 We looked at some of the best wrenches out there and made a list of 7 best wrenches that we found. 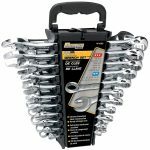 Performance Tool W1069 SAE/Metric Polished Combo Wrench Set, 22-Piece With Rack is a versatile set that will answer any situation when it’s needed. 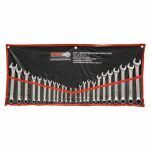 This is an option that includes 11 metric and (SAE) wrench sets, in the package to suit a variety of purposes. This is a great basic set for someone who wants to be able to do quick jobs without a lot of fuss. These combination wrenches come in both SAE and metric sizes, so you are likely to find the correct size for your repairs. 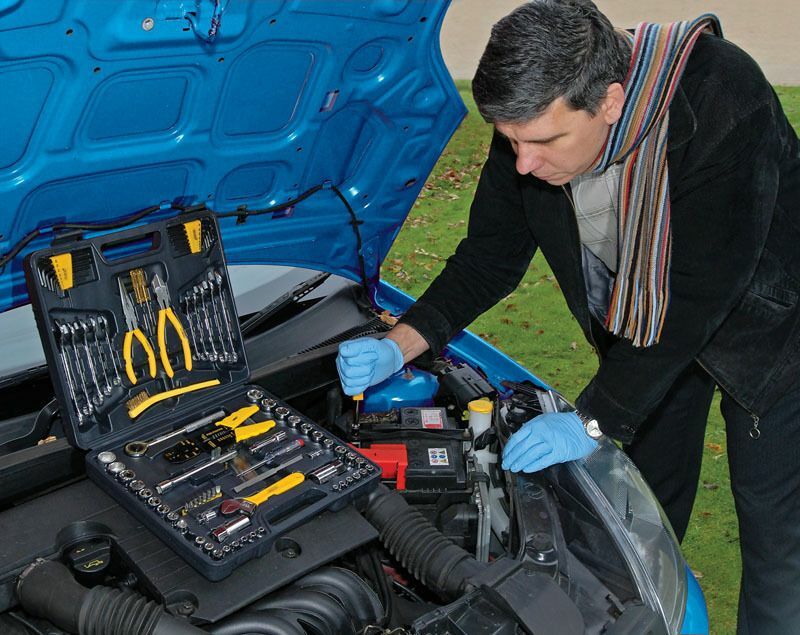 The carrying case easily fits in your trunk and is designed to keep each wrench both visible and secure. The low price means you don’t have to spend much money to be able to work on your own car. Overall, it is a great purchase that will last a very long time. GRIP 89358 MM/SAE Combination wrench set offers superior quality along with a low price. The wrench set costs less than $25, which is cheap considering that the set comes with 24 pieces. The wrenches in the set are all drop forged and heat treated to ensure excellent quality. It is made of alloy steel, which gives it great durability and prevents it from rusting over time. The wrench has machined open and boxed ends which ensure precision when using it. 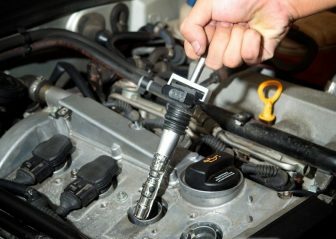 The panel of the wrench is slightly raised to give it extra torque when using it. The set comes with a wide a range of wrench sizes which makes it versatile for any job that you might need the wrench for. 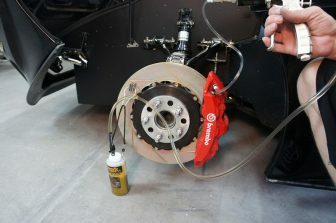 Another great feature of the product is that it comes with a handy bag which you can keep the wrenches in and keep them organized when carrying them around. 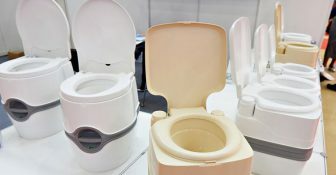 As a starter set, this kit will handle most common jobs. The GearWrench Wrench set comes with several different sized wrenches all included in the same package. The set is great to have if you prefer having them separately, rather than getting a single adjustable wrench as it allows multiple users to use the wrenches simultaneously. The 20-piece set will cost you a bit pricey, but it does offer great quality. The wrenches are all quite strong, as they are met or exceeded the specifications by various corporations such as ANSI and DIN. There are various sizes of wrenches, each of which is suitable for use on a nut. One end of the wrench has a ratcheting box, which makes this a lot more versatile to use. The other end of the wrench comes with a Surface Drive Box which allows for a strong grip without causing any rounding of the edges of the nuts. You will definitely be satisfied with this wrench set. Tekton’s 24-piece set is great value in combination wrench sets, because it features the most commonly used sizes of both SAE and metric wrenches. Forged of the same vanadium chrome alloy as the top-rated wrench set, the Tekton kit is engineered to meet or exceed ANSI specifications and heat-treated for extra strength. 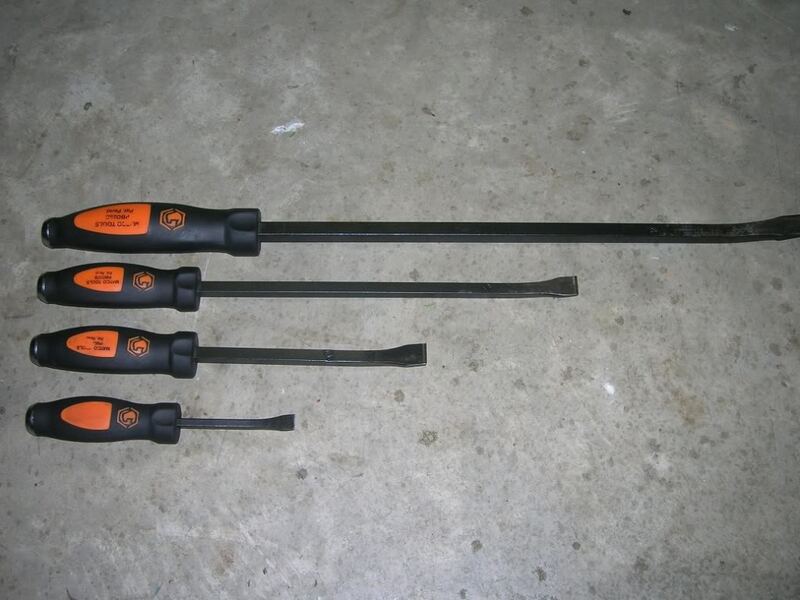 The 12 SAE wrenches range from ¼-inch to 1-inch, and the 12 metric tools range from 8 to 24mm. The included storage pouch keeps tools neatly organized, and rolls up for storage in out-of-the-way places, but is not designed for extended use. 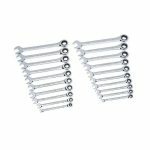 The single biggest drawback for this set is the absence of the 16mm wrench, a commonly used size which has no direct SAE substitute. 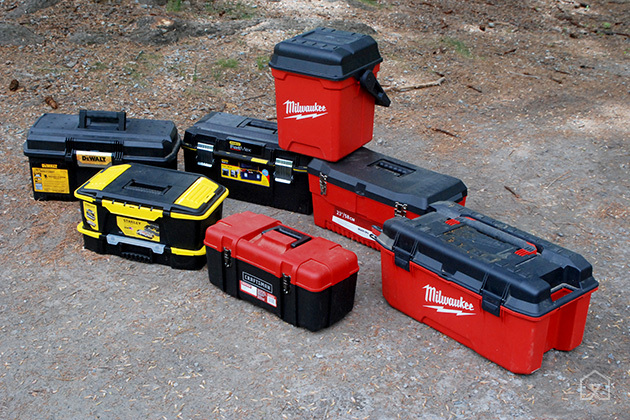 For an emergency tool kit or someone’s starter set, the Tekton 24-piece would make an excellent choice. These are without doubt fine tools at a great price. 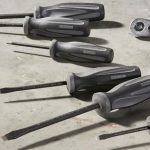 No matter whether you’re working on the job, under the hood or even under the kitchen sink, the Craftsman 20-pc combination wrench set delivers the grip you need to finish the job while cutting down on the dead weight in your kit. 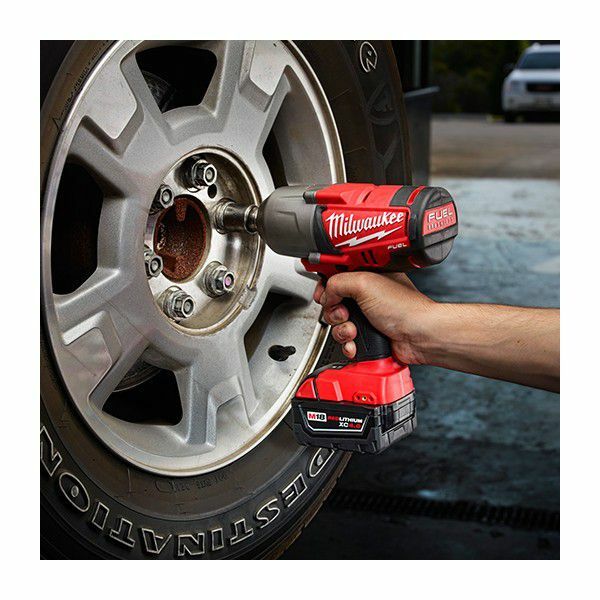 Designed to grab on the right, the tool features ratcheting box end that allows you to speed through jobs quickly with no need to lift. 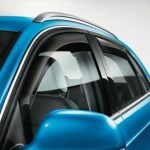 Even if you’re reaching deep into a compartment or appliance, the fastener keeps in contact until the turning is done. The 20 piece inch and metric combination wrenches are constructed from quality alloyed steel, designed for a lifetime of use and backed by Craftsman’s Forever Guarantee. The reinforced open end holds on tight and powers through with the muscle needed to break loose even rusted bolts. A solid set, built to deliver grip, continuous contact, and solid performance, add this set to your kit and get the job done with Craftsman. 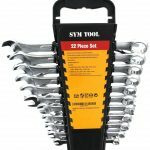 The SYM Tools Wrench set is another great pick for a set of wrenches, mainly due to its affordable price. It stands out from most other wrench sets out there as it costs reasonably for the twenty-two pieces that comes with the set. Another great feature about the product is that it comes with a warranty which is provided by SYM tools for each of the wrenches in the set. The vast amount of sizes would mean that you will more than likely have the right wrench for the task at hand. There are SAE and metric units, giving it great versatility compared to other wrenches. Each wrench is made of forged steel which ensures durability, along with a chrome coating to prevent them from corroding. The wrenches are double ended as one of the ends has a box end which is used to provide extra torque. You will get a handy storage box with the set which you can use to conveniently store the wrenches and keep them organized. The TEKTON 15-pc. Combination Wrench Set is a complete series of every size from 8 to 22 mm. Classically lean and quietly refined, TEKTON Combination Wrenches provide a sure fit on fasteners and multiple options for working around obstructions or in tight spaces. To reduce the working swing arc, the open end is angled 15 degrees so the wrench can be flipped over with each rotation to engage the fastener twice as often. The 12-point box end doubles the access angles of a 6-point. It’s offset 15 degrees, creating clearance for your fingers and extra space to slide past whatever might be in the way. To prevent round-off, it contacts and applies force to the flat sides of fastener heads rather than the corners. The wrenches are compactly organized in the Store-and-Go Wrench Keeper. This versatile storage solution has a folding handle that saves drawer space and nonslip grippers that lock wrenches securely in place when you’re on the move. We definitely recommend buying this exceptional wrench set. 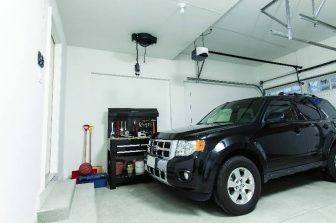 Whether you’re changing spark plugs in your driveway or installing a new timing belt on a customer’s car, you need to have the right tools for the job. 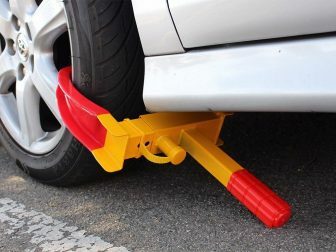 A good mechanics tool set might be just the thing someone offering assistance would need to help get you back on your way if you end up getting stuck on the side of the road. Instead of borrowing what you need, you can become familiar with your own set as you develop your skills and gain vital knowledge. 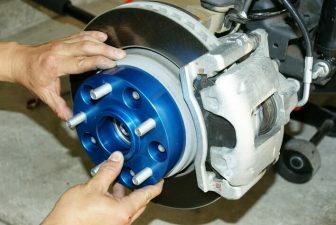 Even if you aren’t mechanically inclined yourself, having a set of mechanics tools in the trunk of your car can be to your advantage. The best wrench set is a necessity for the auto, house, and other items that use bolts, nuts, and fasteners to keep them together. Purchasing these items individually as you need them will cost many times more what you can pay for a complete set. We usually consider what kind of wrench will serve our needs, whether it’s a simple one or is a compound of several functions. Having many available models will make it critical, to know what is needed in particular for any purpose and task.